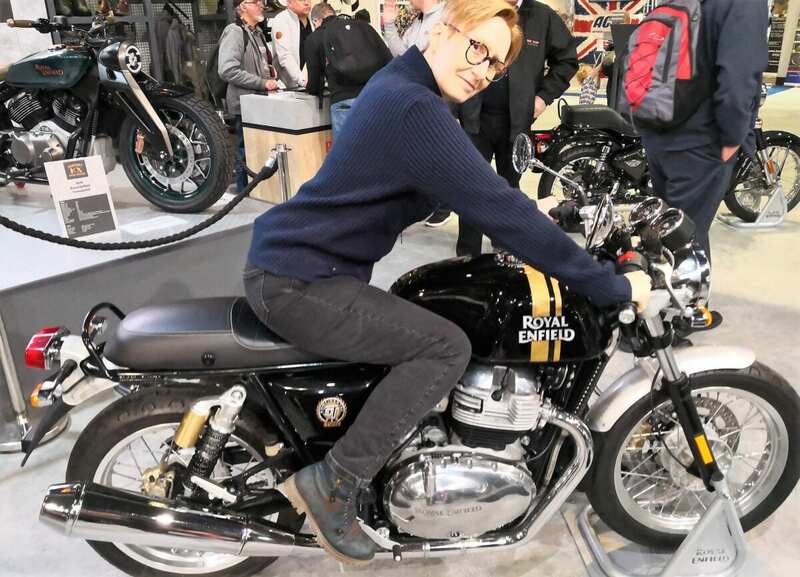 The big crowds were buzzing around the Norton stand, attracted by what’s been hyped as ‘the first modern affordable’ machine from the famous marque. 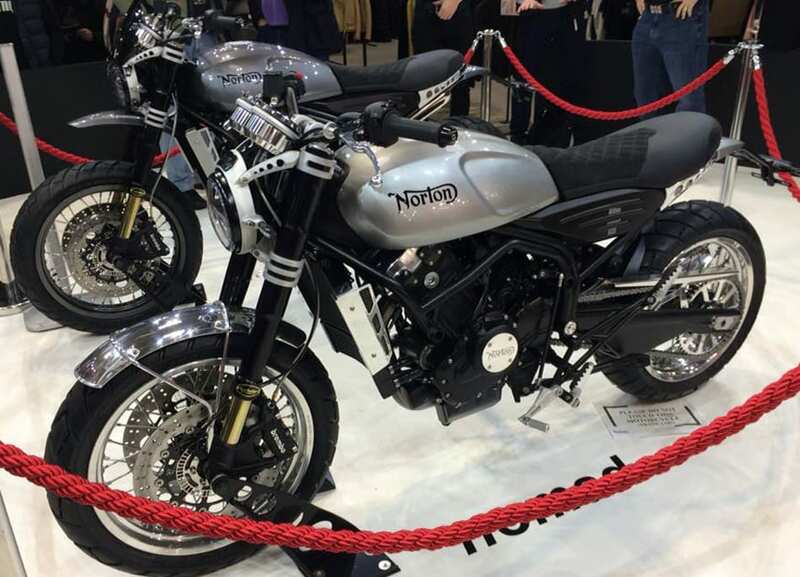 Moving away from the hand-made, exclusive ethos of the 961 Commando range, the new liquid-cooled parallel twins will be mass produced – Norton are aiming for annual production of 2000 units. The ‘half a V4’ dohc Atlas engine delivers 84bhp at 11,000 rpm and 47lb/ft of torque. It comes with a superbike-style spec – massive 50mm front forks, twin 320mm Brembo discs with four-piston radial calipers – and is available in two formats. The roadster Nomad sells for a fiver under £10k, while the scrambler Ranger costs £11,995. 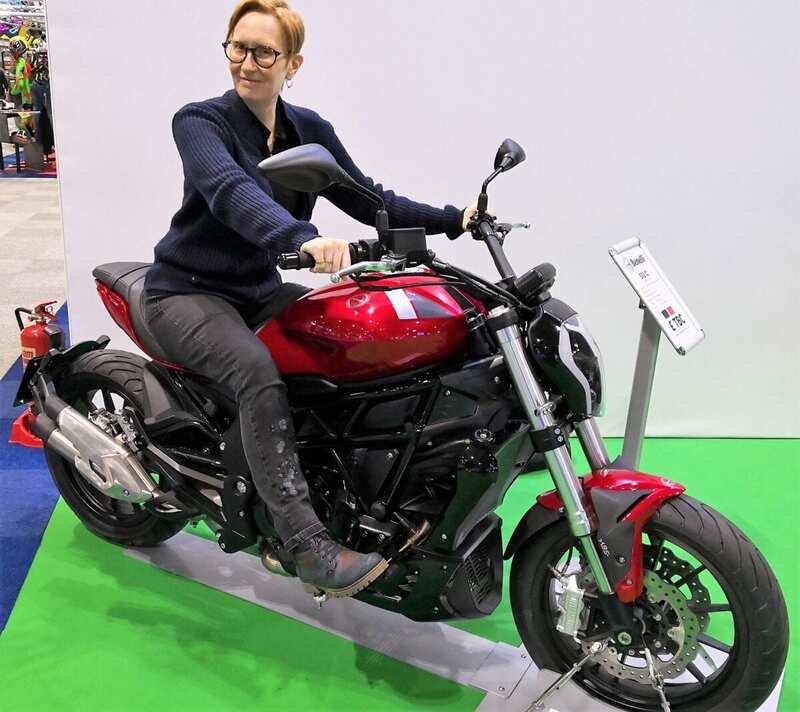 Both versions are relatively tall; 824mm seat height for the street-machine and 875mm for the dirt bike, which makes the Ranger 15mm higher than Ducati’s Desert Sled… so you might expect to see a seat lowering kit on the horizon in the not too distant future. 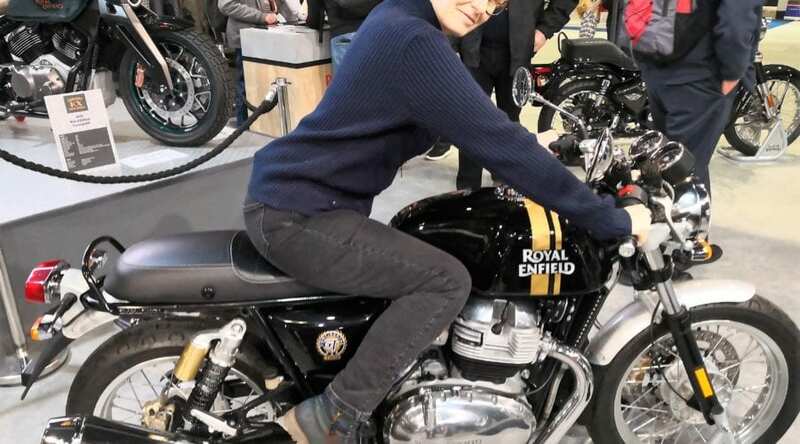 Royal Enfield also came to the show with a pair of 650 parallel twins – and the much-anticipated new Enfields retail for roughly half the cost of Norton’s British-built bikes. As our images demonstrate, the sporty Continental GT inclines the rider into a traditional café racer crouch, while the Interceptor encourages an upright riding position with the legs rather more relaxed. 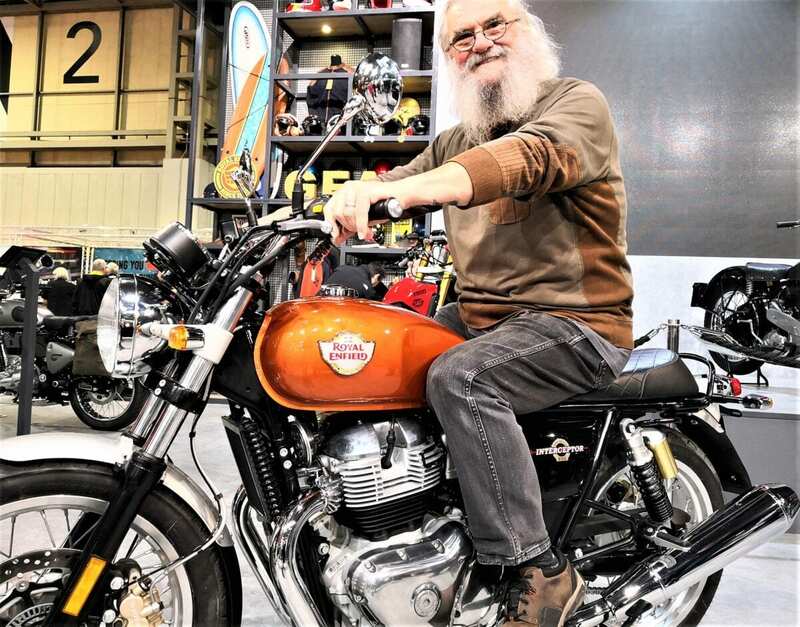 Astutely, Enfield have tuned their air-oil-cooled engine to deliver 80% of its maximum torque at 2500rpm – understanding, perhaps, that a classic ride is more about low-rev response than it is about redline potential. 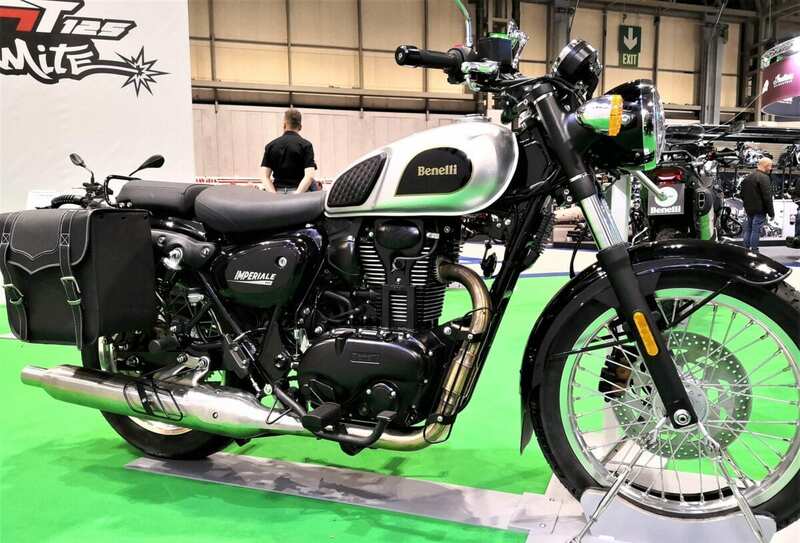 Their 648cc engine delivers 47bhp at 7250rpm and 52Nm of torque at 5250rpm and it’s the first Enfield production engine to utilise six gears. Enfield suggest that other aspects of the twins’ spec – the slipper clutch, the relatively low compression ratio, the 804mm seat height – will increase the bike’s usability. 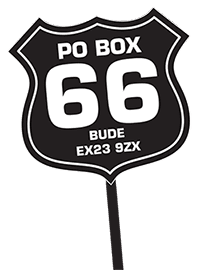 We suspect that a different number will attract the most attention: the UK price tag of £5500. Halfway between the ‘exclusive’ Norton 650 and the ‘everyman’ Enfield 650, we find the bike which will inevitably out-sell both of them by boatloads. 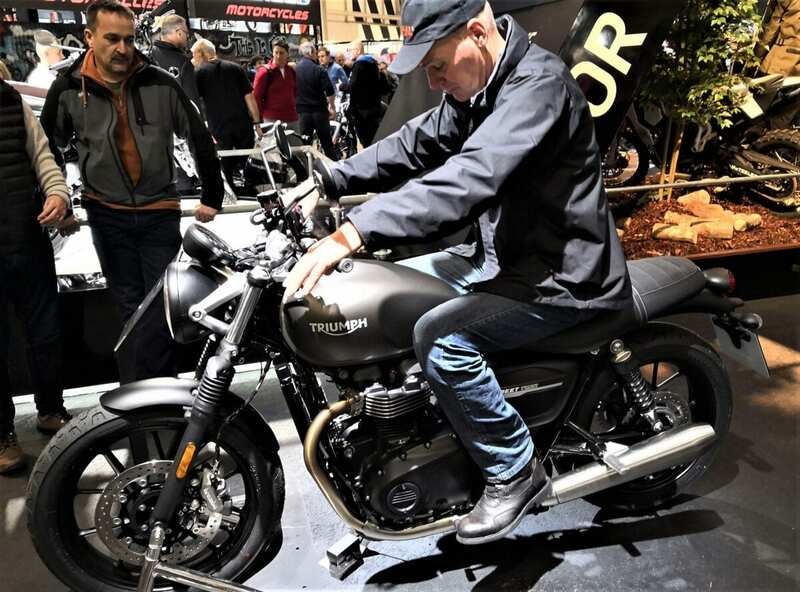 Triumph’s sleek and well-developed new Street Twin sits squarely in the midfield price-wise, but arguably offers more than either of its rivals. Using the firm’s ‘high torque’ eight-valve 900cc engine, the Street Twin delivers tremendous torque of 80Nm at 3200rpm, needs only a five-speed gearbox, has a seat height of just 750mm, weighs under 200kg … and retails for around £8k. Amid all these two-cylinder machines, there was a smattering of singles to attract the classic rider. Among them we found Benelli’s new Imperiale range, which starts with this five-speed 400 single. The 374cc sohc fuel-injected motor develops around 20bhp at 5500rpm, and 28Nm of torque at 3500rpm. The 300mm front disc brake is gripped by a floating dual-piston caliper, with a 240mm disc at the back. Seat height is 780mm, and dry weight is 200kg.